It is impossible to discuss twentieth-century music without touching upon Stravinsky's best-known work to some extent. Indeed, the twentieth century's long list of masterpieces would have been inconceivable if not for this forty-minute work that ruffled many feathers at its début. Had Stravinsky taken up a different career, modern music would still have come to fruition. But while music was trekking over such extreme ground, Stravinsky was bold enough to accelerate its progress. In the conservative artistic world of 1913 Paris, such an advancement took nerve; and it was Stravinsky who had that nerve – not to mention the creative talent – to make it happen. Audiences may have been caught off-guard by Le Sacre's uninhibited passion and violence, but it certainly fit the mood of its era: Europe was caught up in nationalistic frenzies, driving herself to the brink of World War I; the continent was plagued by widespread depression; and the basic values of western society, amidst such pains, were being heavily questioned by the intelligentsia. When Le Sacre is viewed in the social context from which it was born, there is good reason for the rage and angst that Stravinsky conveys. Stravinsky was a member of the Russian artistic circle that would be stranded in Paris once the Soviet-Leninist movement took hold. While in the birthplace of impressionism, Stravinsky lived out his famous relationship with Sergei Diaghilev, whose Ballet Russe company made Russian music and dance well-known to the Parisian public. The twentyish composer remained true to his heritage and created Russian-based ballets of lasting fame: The Firebird and P�trouchka. Although these earlier works are less bombastic and more colorful, Le Sacre is the logical conclusion of all preceding it. The Firebird, for instance, is somewhat light-hearted, but here Stravinsky makes embryonic use of thick chords, quick shifts in rhythm, and perhaps most importantly, the combination of keys to produce effects. Stravinsky was completing Firebird in the spring of 1910 when he supposedly experienced a "vision," one of a girl dancing herself to death in a pagan ritual. Nicholas Roerich, a Diaghilev set and costume designer, was intrigued by Stravinsky's description and found it worthy of use in a ballet. By mid-1911, Roerich and Stravinsky had a plot worked out, centering upon "scenes of Pagan Rus'." After the success of P�trouchka, Stravinsky took to work on this other gem of Russian origin with Diaghilev's full support. From when Stravinsky began writing, the initial fate of Le Sacre was determined. The ballet's subject – pagan rites – demanded music that was melodically simple, sporadic, and immodest. Stravinsky held nothing back in conveying a primitive atmosphere and revolutionized many facets of music all at once. Besides rhythmic modulation with great frequency, Le Sacre is based on melodic figures repeated many times. The string sections are often used like percussion instruments and the winds used at extremely low and high registers. The percussion section, particularly the tympani, sounds more fit for a tribal meeting than a concert. What results is a work of unwavering tension, building to a final climax that leaves both performer and listener exhausted. The Ballets Russe had no room on its 1912 schedule to perform Le Sacre, which gave Stravinsky a chance to fine-tune. Stravinsky blazed through a piano reduction for Diaghilev and conductor Pierre Monteaux, who thought him crazy. But Monteaux also recognized it as the first in a new wave of music and agreed to conduct its première. Diaghilev chose Vaslav Nijinsky to choreograph, forming a work relationship that would hit many potholes. Nijinsky could barely deal with the intricate rhythmic scheme, which maddened Stravinsky to no end, and the cast appropriately limped through rehearsals. Nicolas Roerich meanwhile designed costumes similar to an Indian tribe's bearskins. As if the rough score was not enough, questionable footwork and clothing doomed the première to disaster. Le Sacre's première took place at the Théâtre des Champs-Elysées on May 29, 1913. It is arguably the most famous debacle in western artistic history. Audience members found the quiet, yet active, introduction ridiculous. When the curtain rose and Nijinsky's dances began, the auditorium went into a rage, their sophistication insulted. Ravel and Debussy were both present and captivated by the music, but it was soon drowned out in the fracas. Debris was thrown, as well as punches. The work was performed in full, but only with the help of Nijinsky calling steps from atop an offstage chair. 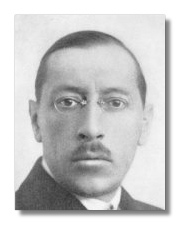 Stravinsky had a breakdown after the première and spent weeks at a sanatorium in Neuilly to recover from typhoid fever. Le Sacre was staged in London that July and coldly received, albeit undisturbed. Negative reactions would still come ten years later, when Monteaux conducted Le Sacre with the Boston Symphony Orchestra in 1924. Yet as modernism slowly sank into western culture and the realities of grand-scale warfare emerged, Le Sacre became recognized for its contribution to the modern artistic temperament. Le Sacre appeared to have found its rightful owner when Martha Graham staged her interpretation in 1930, but the music was already being acclaimed for its genius. Where painting has Picasso and poetry has T.S. Eliot, music has Stravinsky. Le Sacre is not merely a caricature of primitive man; it is also an evocation of modern impulse, an episode in the hysterical, disordered mindset of human beings. With other rhythmic genres now in vogue, the violence of Le Sacre does not have quite the same effect on listeners as ninety years ago. But when played in the concert hall, where listeners are free to paint images in their minds rather than watching scenes develop on a stage, Le Sacre touches upon our barest impulses that civilization has only recently buried alive. Copyright © 2003 by Paul-John Ramos. All Rights Reserved.